A Point-to-MultiPoint (P2MP) circuit connects three or more separate points. 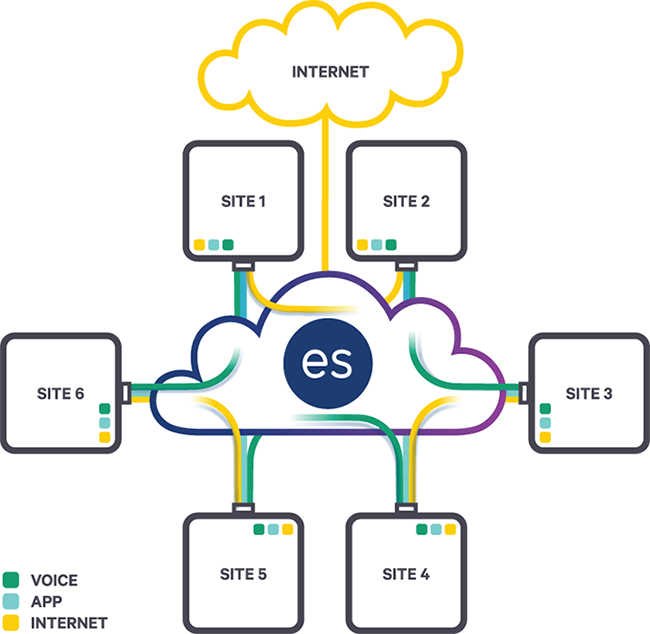 Ideal for customers with two or more locations, this solution ensures multiple points are able to communicate seamlessly as one cohesive network. Our P2MP connection has Layer 2 VPN and Layer 3 VPN availability with untagged, tagged and routed options. Everstream also supports OSPF, IS-IS, iBGP and eBGP protocols.